Now that winter is fast approaching, hijabi fashionistas have to bundle up! As a Muslim mom, I try to save where I can so that my little baby can get the best items she needs. That means I look for decent fashion finds that are great deals. One of my favorite places to go is Target. They have on trend fashion pieces for way less than the original designer pieces go for. 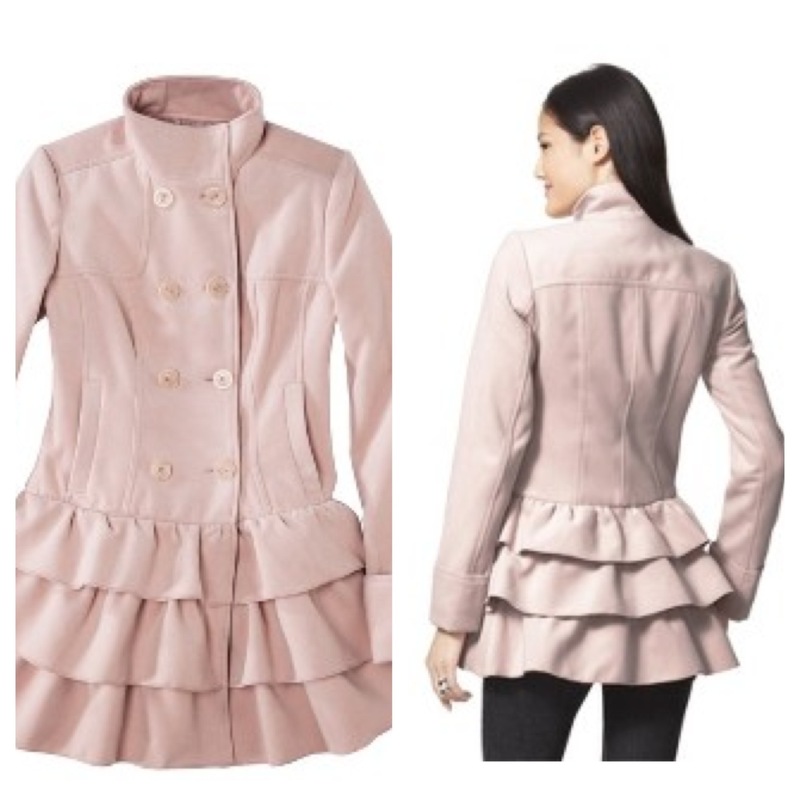 Ever since I saw Kate Middleton (yes my Anglophile crush) wearing a ruffled Burberry trench coat, I have been meaning to pick up a ruffled jacket. But for some reason, I could not find any this fall season! Finally, I was strolling through Target and I found this! It was on sale for $35, but I think even at its regular price of $39.99, it’s a steal compared to the Burberry trench I am obsessed with. I have to warn you to try it on until you find a size that fits since this is a juniors’ line of clothing so they run small! I had to go up two sizes from my normal size! Now that the weather is getting colder, it’s perfect to keep me warm, but looking like a posh mom! What steals have you found so far?